Marketers are constantly trying to target consumers at the point of decision making, showing an ad that might tip the scales in favor of Coke or Pepsi, Cheerios or Wheaties. And with MediaGauge, startups can do the same. When someone clicks play on your startup’s explainer video, they are saying: “I want to learn more.” That’s probably because they’re thinking about becoming a user or customer. 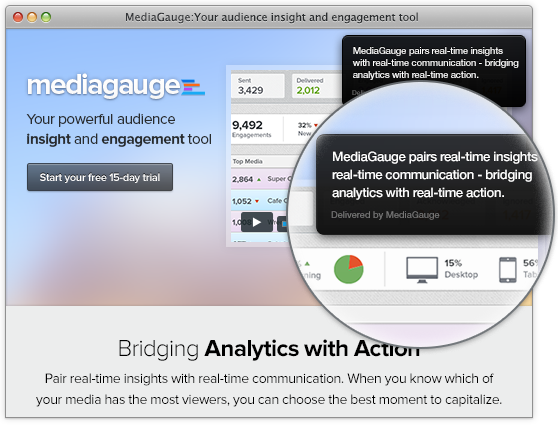 Launched in January, MediaGauge lets you send them an unintrusive message during the video, like a deal, a beta invitation, or a free download. On the backend, you get a report on the number of messages delivered, clicked, and ignored in under a minute. That means you can constantly tweak your messaging, perhaps doing A-B testing on a small group and then blasting the message out more broadly. 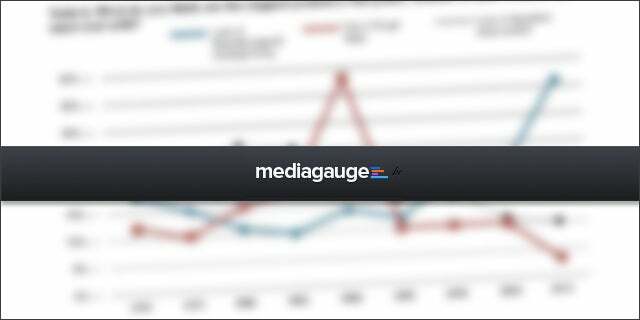 Data like this are the key to MediaGauge and its creator Epic Playground, a Boulder startup that graduated from TechStars Cloud last year. To learn more about those valuable video viewers, you also get statistics on how long they watch, when they stop watching, and their location. And with location comes other unique data points: the weather, their congressional district, and the population density. If you run a car sharing startup, for example, you might discover that viewers are more engaged when their town is rainy, densely populated, and Democratic. That’s useful information that most companies don’t know they’re missing. “We thought of it as an iPod moment. People didn’t know they needed an iPod, until everybody wanted one. And I think that’s where we are with media analytics,” says founder and CEO Michael Sitarzewski, a serial entrepreneur. Armed with new data, you can now drive more engagement and increase your ad revenue. If you know how many viewers stick around to the end of your videos, you can sell more ads there. You can also pinpoint where viewers stop watching and tweak the video to make it more compelling. MediaGauge will cost around $20 to $100 per month, and the company is giving away an iPad to whichever company sends the most messages through SXSW.